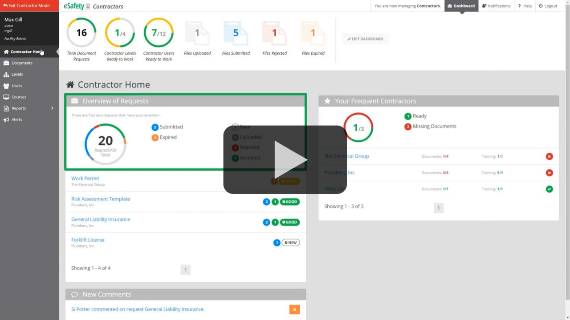 eSafety Contractor is a cloud-based software system designed to simplify contractor management and safety training. Create, request, and track documents, upload training materials and see at a glance where each contracted employee is in their training process. This is contractor management made easy.